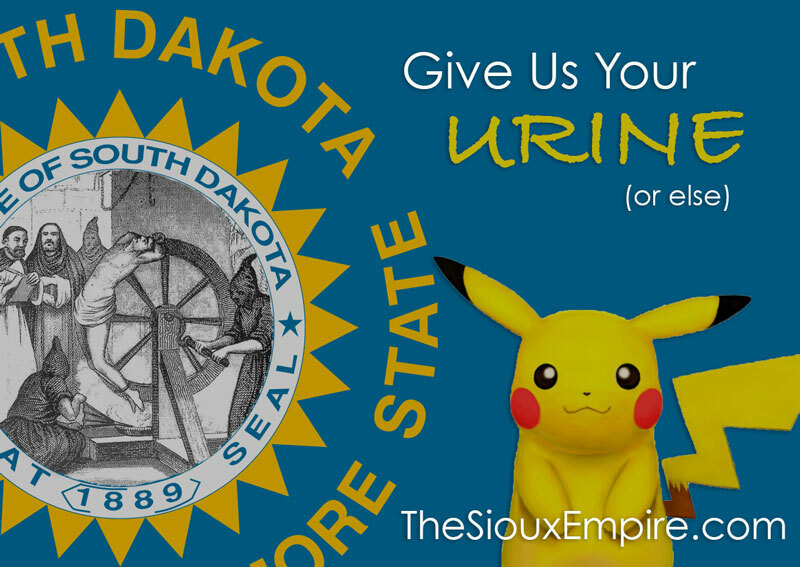 After criticism from the state ACLU and local advocates, a South Dakota legislator has modified her bill that would impose penalties for failing to render the state seal in a “full and complete” fashion. The offense could still result in up to a year of jail time, but any artistic or satirical representations are now explicitly exempted from prosecution. Rep. Sue Peterson of Sioux Falls, who introduced House Bill 1102 last week, maintains that her primary concern is ensuring that the state motto “Under God the People Rule” is included whenever the seal is used on commercial merchandise or by the state itself. Peterson said she and several of her colleagues noticed that their official state apparel made by inmates of the women’s prison in Pierre did not include the motto, and the bill was intended to correct that oversight. A Sioux Falls-area blogger and podcast host cast doubt on that incident as the sole motivator, however, pointing out that he recently created a satirical take on the official seal in order to criticize state and local police departments’ use of forced catheterization to collect urine from criminal suspects who refuse to voluntarily provide a sample. The American Civil Liberties Union is suing a total of 20 officers from the state Highway Patrol and two local forces who have allegedly participated in such practices, as well as the state Department of Social Services and Avera St. Mary’s Hospital in Pierre. Following that modification which effectively rendered HB 1102 moot since it replicates existing law, the legislation passed out of the House State Affairs Committee on an 11-1 vote. The lone dissenter, Rep. Tona Rozum of Mitchell, pointed out that the bill is redundant and there is no “need to add more stuff into statute when the policy exists.” Rep. Rozum is quite correct, but at least it is now simply pointless rather than unconstitutional!